Digital innovation is dominating IT, but many companies are struggling to manage it, according to the Harvey Nash 2015 CIO Survey in association with KPMG. The pace of digital and the race to innovate has left many organizations lacking an enterprise-wide digital strategy and desperately seeking to acquire the right skills. In addition, this year’s survey uncovered that, while the lack of women in IT has received significant media and political attention for several years, the proportion of women in IT leadership roles remains stagnant year after year. Additionally, the number of women in IT leadership positions is down globally by 2 percent from 2013, reporting in at a mere 6 percent this year. In the U.S., women represent 12 percent of IT leadership, up from 7 percent in 2014. So, what does this all mean and how can we work to change these results? Join us at our next event, Game Changers: Women in the Age of Disruption , as we take a deeper dive into the survey and discuss how we can begin to expedite a real change in the tech industry. 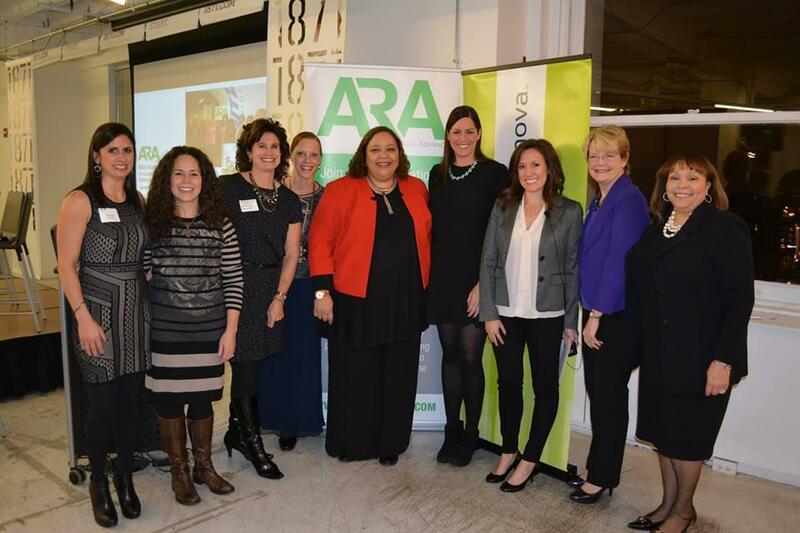 The night will feature a panel discussion with prominent executives in the tech industry and will be moderated by Dana Shaw, a member of ARA's Advisory Board and the President and COO of ICon. Dana was also recently announced as a Woman of Influence by the Silicon Valley Business Journal. With opening remarks from Alex Bell, Managing Director, KPMG, you will learn about the latest trends straight from the recent Harvey Nash CIO Survey in Association with KPMG and what these results mean for women in the tech industry directly from Anna Frazzetto, Senior Vice President and Managing Director of International Technology Solutions, Harvey Nash. Time: 5:30 p.m. until 8:30 p.m., with networking and registration from 5:30 p.m. to 6:00 p.m.
Who: This event is open to women and men who either work in the tech industry or have an IT role; we encourage everyone to join the event to learn from the distinguished panel, network with others in the industry and share your voice through Q&A and live Tweeting. All ticket sales are final. For groups of 20 or more, please contact us for registration details at info@aramentors.com.